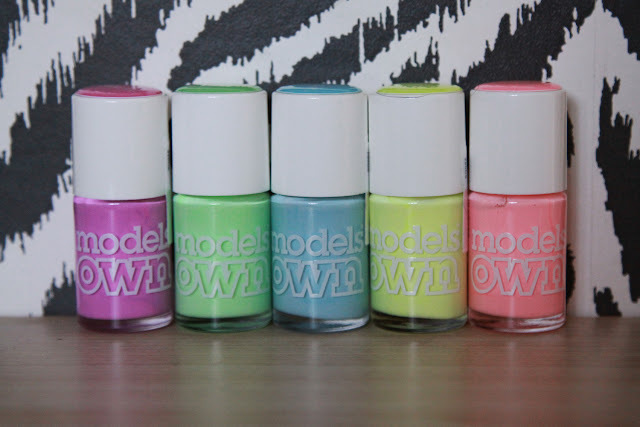 I was recently incredibly lucky on Instagram, and thanks to a competition I have won the entire of Models Own's new spring nail varnish collection! I'm a total nail varnish addict so I was utterly thrilled, and I had to share all the colours with you guys. When this huge box arrived I knew it was going to be a real treat! There are basically 5 sets of 5 polishes, all that look lush. Lovely bright pinky tones that are perfect for spring. Pastels are always a key trend at this time of year. A good range of nudes which is such an interesting look for nails, I'm really excited to try these! And the ones I was most excited for, the holochromes. I love shiny, I love metallic, I love iridescent. I had to try these first, and got great coverage in two coats which is great. I usually need 3 or 4 coats due to accidentally staining my nails with orange nail varnish at Halloween that still hasn't grown out, but this was full coverage at 2 coats. 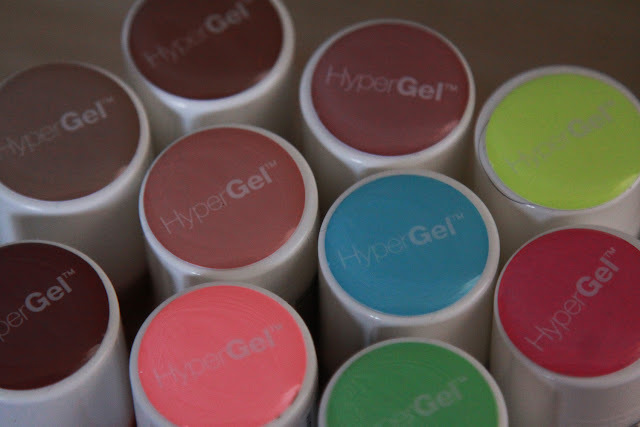 The nudes and pastels are all part of the HyperGel collection, which is extra glossy and gel like, aiming to give a salon finish. I'm so trying these next! It's going to take me a while to try them all. I've finally gotten rid of all my super old nail varnishes since I won these, so my collection is still pretty big, but much newer and better now! I've been lucky enough to win about 7 competitions over the years on instagram, it's always well worth entering them, you never know! Those colours!!!! What a great win ... I'm really short on nail varnishes at the moment but am loving my Illamasqua ones!